Thousands of dogs each year are poisoned with xylitol. Xylitol is described as a sugar alcohol used in many products, including sugar-free baked goods, candy, oral hygiene products and chewing gum. It is the second most common ingredient that is poisoning our dogs – a ‘sugar substitute’. Not only is it found in sugar free gum, it is also in veterinary dog mouthwashes, and now peanut butter. Xylitol is now also found in several specialty peanut and nut butter brands. 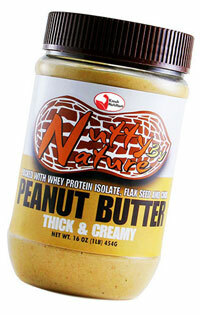 Nuts ‘n More, Krush Nutrition and P-28 Foods all make peanut butter and nut-based spreads containing the ingredient. In the canine body, the pancreas confuses xylitol with real sugar. The result is that blood sugar levels rapidly drop resulting in weakness, disorientation, tremors, and potentially seizures. It only takes a few sticks of gums. A 10 lb dog could be poisoned by as little as a stick and a half of gum. Symptoms typically begin within 30 minutes and can last for more than 12 hours. Vomiting and diarrhea may also occur. 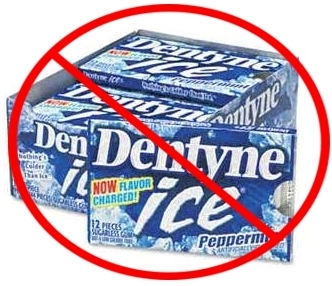 In this case much more gum is ingested (APPROX 10 TIMES the amount to cause hypoglycemia). A 10lb dog would be required to ingest an entire pack of gum. There is actual destruction of liver tissue. Signs take longer to show up (typically 8-12 hours) and not all dogs that have liver damage ( hepatic necrosis), will have experienced hypoglycemia first. In some cases there is only mild signs, while with other dogs, a complete and acute liver failure can result with death following. Internal hemorrhage and inability of blood to clot is commonly involved. The ideal treatment is inducing vomiting after consumption, within 30 minutes. After that time, treatment involves supportive care, IV fluids. 1. Inform other dog owners- many of us use peanut butter in training, to stick into Kong Toys, or in treats. You MUST read the label. 2. Be aware of the signs of xylitol toxicity. 4. Let companies KNOW that you disprove of this toxic artificial sweetener- don’t purchase their products, and send them emails. 5. TRY so many of the safer, natural alternatives instead. This is a GREAT way to start.. It has become necessary to read every label on every product whether it is for humans or animals. The people in the food industry don’t care if they poison people or animals as long as their products “taste” good. High Fructose Syrup, corn syrup, etc. is in everything. I feed my dog food my son-in-law makes from turkey, chicken, rice, barley, green beans, peas, etc. etc., grinds up the bones. They are chihuahuas and they love it. My vet gave me a bottle of Virbac to add to my dogs water. I read the ingredients when I got home and already knew the dangers of xylitol. I never used it. Makes me furious that they would make these products for our pets. Most people wouldn’t know.Thanks Dr. Jones for getting the word out! Supplements: Vitamin A, vitamin D3, vitamin E, niacin, ribo?avin, folic acid, biotin, vitamin B12, zinc proteinate, iron proteinate, manganese proteinate, copper proteinate, selenium yeast. ***We believe that pet lovers want to know where their pet’s food comes from. So we focus on local ingredients raised by people we trust, and delivered to our kitchens fresh each day. All I can say is read your labels … so many contents are not good for any living creature! As a mother of a child with severe allergies I got used to reading and decoding (yes decoding, it’s still an allergen even if it’s called another name or given a number) ingredient labels, it became a habit that continues to this day, long after that child has left to rear her own family. I choose not to feed my companions anything that I wouldn’t eat, so I continue to cook for them just as I did for my human family. 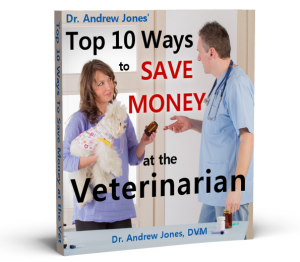 I even check products given at the veterinary clinic to which I take my companions…there are quite a lot of ingredients that aren’t healthy for dogs in everything, even high priced dog food. The only way one can be sure that it’s not added is to cook everything from scratch, not even using ‘handy’ prepared bases or sauces. is xylitol safe for other animals -squirrels, raccoons, birds – i see people often feed PB to these animals esp. in winter…thanks ! Thanks for posting this information, Dr. Jones! I have linked to it on my sister’s website, http://www.flickennel.com. We are always looking for articles like this to educate our customers and other interested readers. I find it astounding how many pet products contain xylitol, tea tree oil and permethrin, toxic to either dogs or cats, or both. Thank you for helping us educate and help other pet lovers! I wrote to Virbac when I wrote GSD Breed Notes for Dog World and asked if they knew how dangerous Xylitol is to dogs and cats. Their reply stunned me. The amount they use is minimal so would be of no cause for concern. REALLY???? 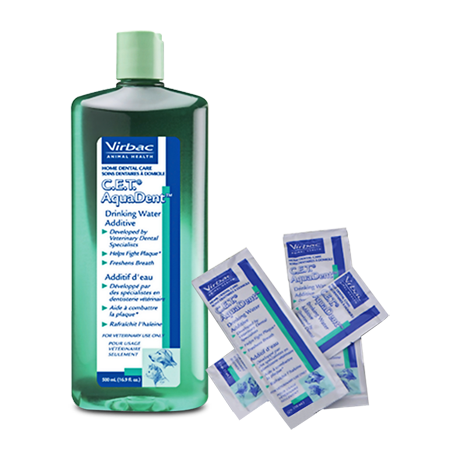 The reality is that Virbac conducted internal studies on this product with an animal facility in Australia under a staff toxicologist. The study showed that the product is not at all effective but also can be toxic to dogs and cats. Virbac, I guess ignored those studies and may have even destroyed the study! !